The primary weakness with all supplies, including medical supplies is their life span. One thing we all have in common is that want to buy our supplies and not have to worry about them until they are needed. Rotating supplies can be difficult to keep track of and time consuming. This is one reason why dehydrated and freeze dried foods have become so popular and companies so plentiful. 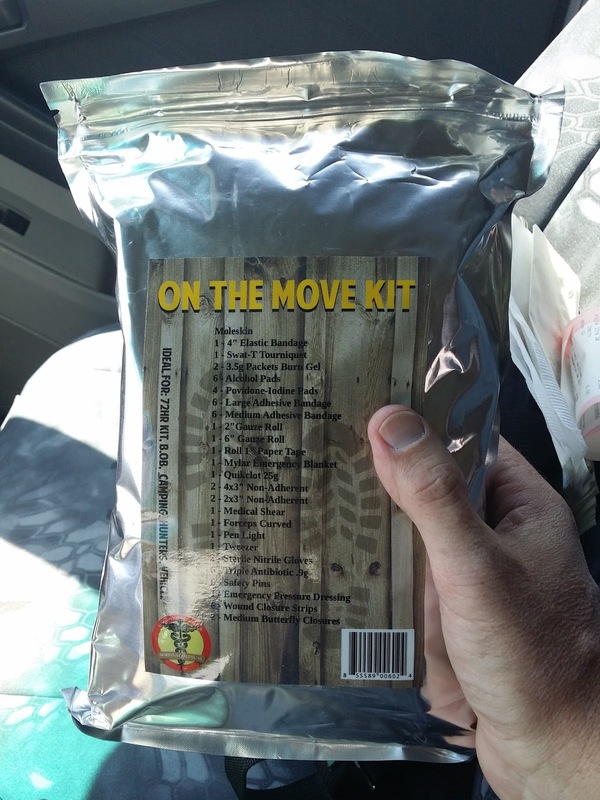 Survival Medial is the only business that I know of that has created 20 year shelf life medical products in a similar way the food storage industry has. And why not! Vacuum sealed in a Mylar bag keeps the products fresh, the bandages stay sticky and the alcohol wipes won't dry out. Although most medical products can still be used after 20 years if they have not been packaged for long term storage their ability to absorb, their integrity, sterility and overall quality will be questionable. These kits aren't just meant for long term storage. They are intended to be used as needed with the additional benefit of being packaged so that they'll have an extended life if you don't use them right away. On the Move Kit - Perfect for your bug out bag. Backcountry Kit - Ideal for backpacking and hiking. Backcounty Kit XL - A more comprehensive kit. Horse and Rider Kit - As you can see, they think outside the box. On The Fly Kit - Easily fits in the fisherman pocket and always ready. Voyageur Kit - Ideal for canoeing and the backcounty. Alpha Bucket - Includes several kits including the Injury Kit, Wound Kit, Bleeder Kit, Burn Kit, Tool Kit, Germ Kit. Bravo Bucket - Includes several other kits including the Bleeder Kit Lite, Burn Kit Lite, Germ Kit, Injury Kit Lite, Tool Kit Lite, and Wound Kit Lite. Birth Bucket - Includes the supplies you'll need to deliver a baby and take care of the Mother. I can't say enough nice things about this company, it's products and it's owners. They are taking this industry by storm and turning the tables on how medical kits have been done for way too long. Why didn't I think of this? !